Washington, Feb 1 (IANS) The 130 students arrested so far in a “pay-to-stay” sting operation using a fake university face only civil immigration charges, according to media reports. Those students who knowingly participated in scam knowing it was not a genuine academic program face deportation. Eight people who allegedly ran the scam as recruiters of the students face criminal charges of conspiracy to commit visa fraud and harboring aliens for profit and face maximum sentences of five years, according to the ICE service. Shiva Kumar, the chairperson of SEVA, the American Telugu Association’s legal assistance program, told IANS that they were working with the affected students to provide them help. 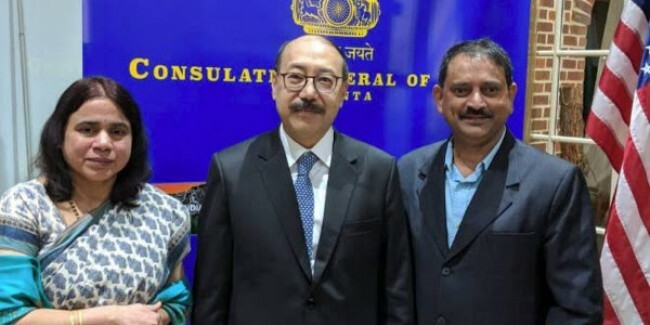 He said that he had met India’s Ambassador Harsh Vardhan Shringla in Atlanta on Wednesday, to ask for help for the students.